We always love when a new study comes out that proves that something “bad” for us, may actually be good for us. For instance, when it was found that red wine is good for the heart, the researchers that conducted that study created wine drinkers everywhere a free pass for years to come. Well now, it turns out that chocolate may actually have some good qualities as well. A new study reports that chocolate helps to protect against UV rays. And, we’re not talking in the sense that you have to liquify it and lather it on your body. We’re saying you better keep on snacking on that chocolate bar. 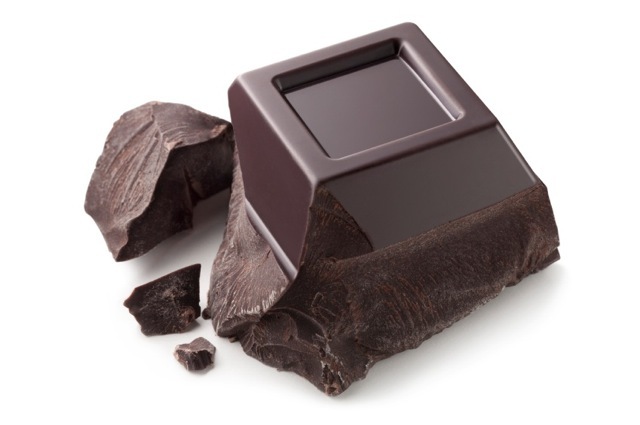 The Journal of Nutrition reports that chocolate contains the antioxidants epicatechin and catechin which help to shield skin from the sun, but only when you eat it. In the study, women who consumed 326 milligrams of high-flavanol cocoa per day for 12 weeks had decreased sensitivity to UV light versus the participants who consumed just 27 milligrams per day. But, this study is obviously not claiming that chocolate will provide an adequate amount of UV protection on its own, so you will still have to wear SPF — and, always choose the chocolate that has less sugar and milk ingredients and is more pure cocoa, such as dark chocolate.